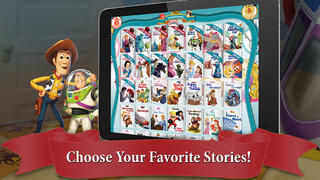 Disney Storytime includes huge selection of different all-time favorite stories featuring Disney Characters. Stories can be read aloud by players, or they can choose to listen to clear narration as the words are highlighted. The narration is excellent and each story has its own animation and sound effects that will surely attract every child’s attention and at the same time prompt them to listen intently. Kids who love reading will enjoy this app. With lots of storybooks to choose from, kids will have a different adventure every day. The parents can read the stories to the children talking about the characters and pictures. From all-time favorites like The Lion King and101 Dalmatians to modern classics like Finding Nemo and Frozen, Disney Storytime features a wide assortment of titles and now features five new stories! Fly away with Dumbo, see how Cinderella handles a great cat-astrophe, go on an adventure with the Incredibles, join Ariel on her quest for the purple pearl, and help Prince Naveen find the perfect gift for Tiana! Unlock five brand new stories and up to 32 additional books! 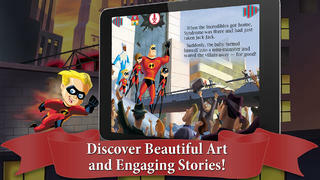 Download and receive 3 FREE Disney stories! Record your own voice and create an avatar! 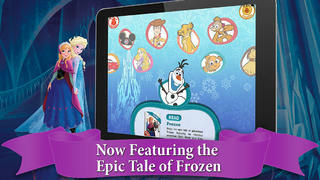 Disney Storytime features the largest collection of Disney stories right at your fingertips! Read at your own pace, follow along as each story is read to you, or record your own voice! 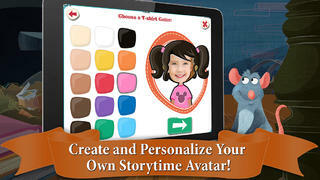 And don’t forget to visit the “Me” section to create and personalize your very own Storytime avatar. 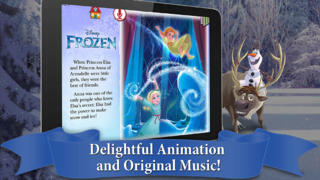 Featuring delightful illustrations and animation, word-for-word narration, original music and hundreds of sound effects, as well as an innovative credits system for seamless story downloading, Disney Storytime offers hours of immersive reading fun. Before syncing your app to multiple devices, be sure to activate iCloud on the original device where the app and credits were purchased. Once iCloud has been activated, open the app on the original device so that the data on the app is pushed to your iCloud account. You can now sync your other devices using the same iCloud account. If you are experiencing difficulties with audio, please check if your device is muted, and the in-app settings.